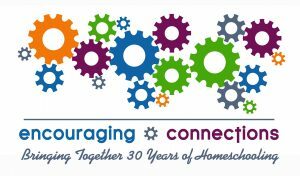 VHSA is hosting an “Encouraging Connections” homeschool conference on May 5th from 9-5pm! Fee is $5 for conference attendance (this includes any/all workshops). A shredded beef sandwich lunch, with potato salad, chips, baked beans, with coffee and iced tea may also be added for $9. (Total of $14) OR you may pack your own lunch for the day or step out for lunch. Your choice. Payment may be made via paypal to valleyhsa@gmail.com or in a check by mail to VHSA, PO Box 1028, Scottsbluff, NE 69361. Payment must be received BEFORE the registration deadline of April 30th, to qualify for raffle tickets, or meal reservations. After April 30th: Walk ins may attend the event for $7, but must fill out a form at the door, and may NOT buy a meal ticket. Children: Childcare is not provided at this event. Nursing infants may be brought to workshops, but otherwise workshops are only for homeschool parents. Children age 12 and up may attend the main session and workshops with their parents, but will require a paid registration. All children should remain with their parents. Children of any age are welcome in the Vendor Area with their parents. Registration and payment are not required for those who are only visiting the Vendor tables and Book Sale. A vendor table may be reserved for $10 (educationally related items receive preference). VHSA reserves the right to limit the number of non-educationally related tables. Bring your used curriculum to sell! Free tables for USED book sales (for VHSA members, non members are $5 per table) available in the vendor area OR pay a 10% commission to a former homeschool mom to handle sales for you while you attend the event. Items MUST be priced and clearly marked in advance. (Deadline of 4/30 to reserve her services.) Call Laura 308-783-6107 or Lyn 308-641-4557 for more information.